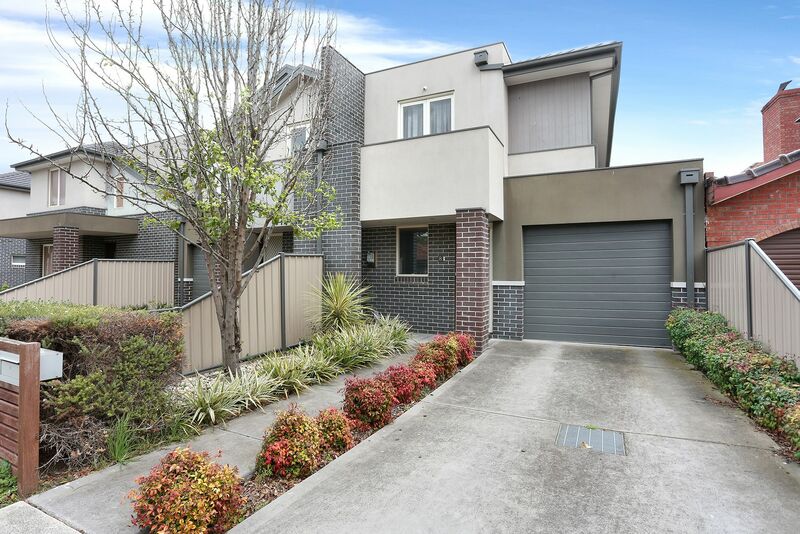 Deceiving from the outside, this stunning Glenroy residence offers simplicity in a location loaded with lifestyle advantages. 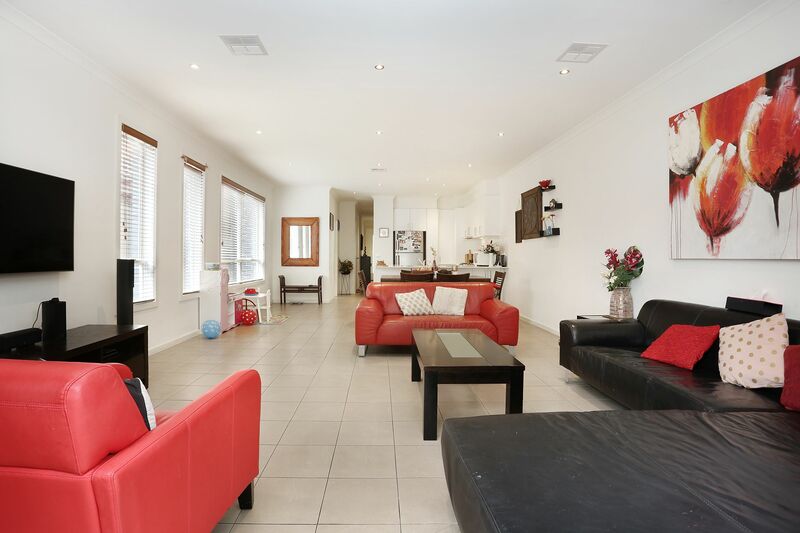 With its own Street frontage, this townhouse will be the envy of your friends and family. 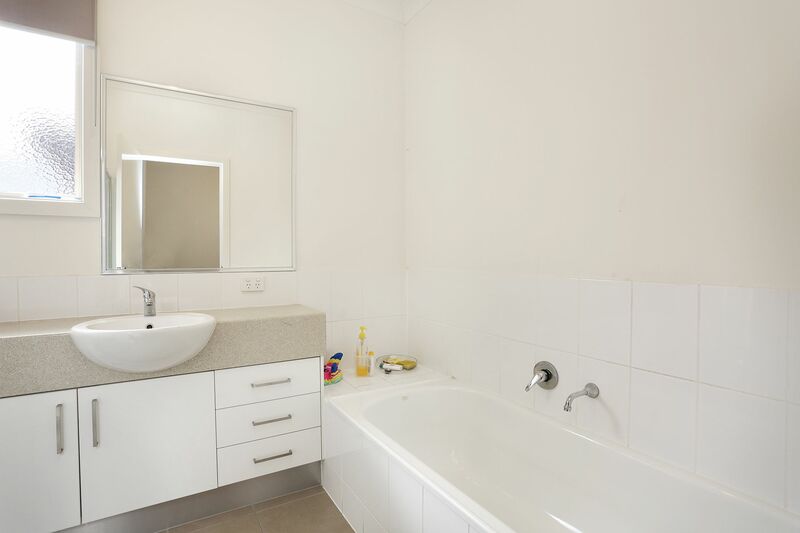 Upon entering this town residence, you are instantly aware of the space and size on offer. 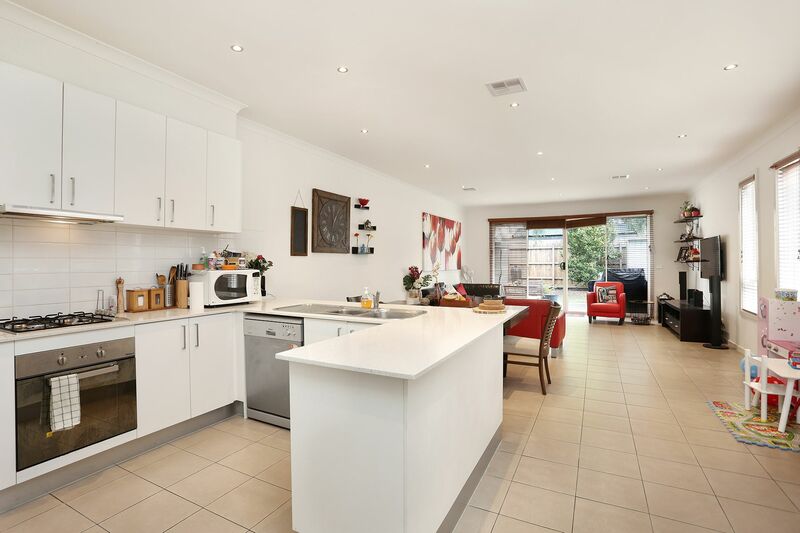 Comprising of a large downstairs open living space with large open kitchen, highlighted by the white ceasar stone bench tops and an abundance of cupboard space and natural light. In addition, just off the main entrance is a study nook which is good for a home office area away from the main living quarters. 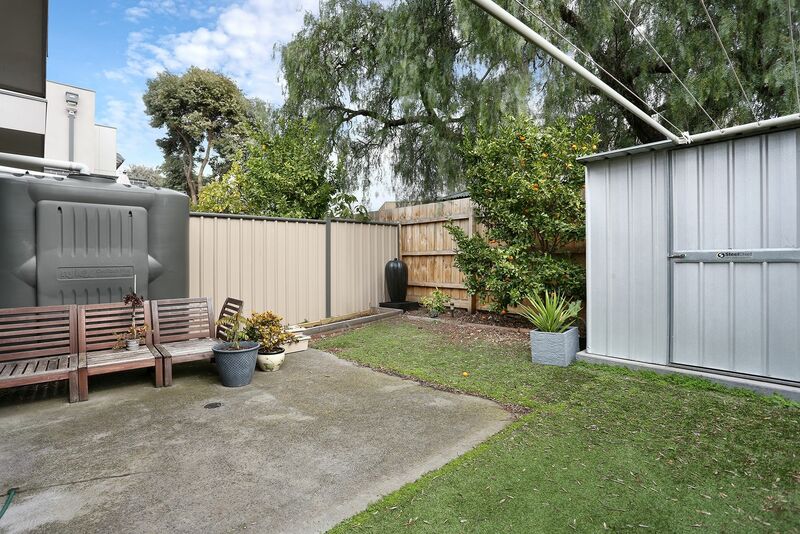 Double glass sliding doors open up into your private rear courtyard retreat complete with shed and your own mandarin tree. This area provides a seamless flow between the indoor and outdoor living zones creating a wonderful atmosphere for relaxing or entertaining – the choice is yours! Further upstairs you have three large bedrooms with built-in robes. The Master bedroom positioned at the front of the home has it very own private balcony with double glass doors as well as your own en-suite. Across the hall way you have the main bathroom with separate shower and bathtub, separate toilet and two large bedrooms. You will also find additional smart storage areas throughout the home included an upstairs linen closet. 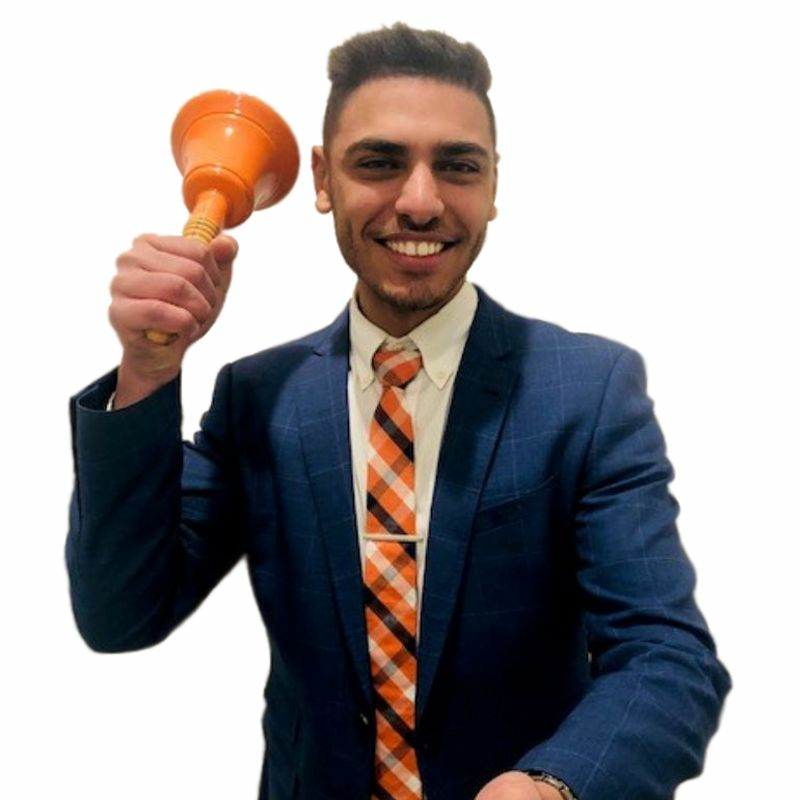 Located in a highly sought-after pocket of Glenroy and only a short stroll to Glenroy Central Primary school and less than 1km to Glenroy Train Station. 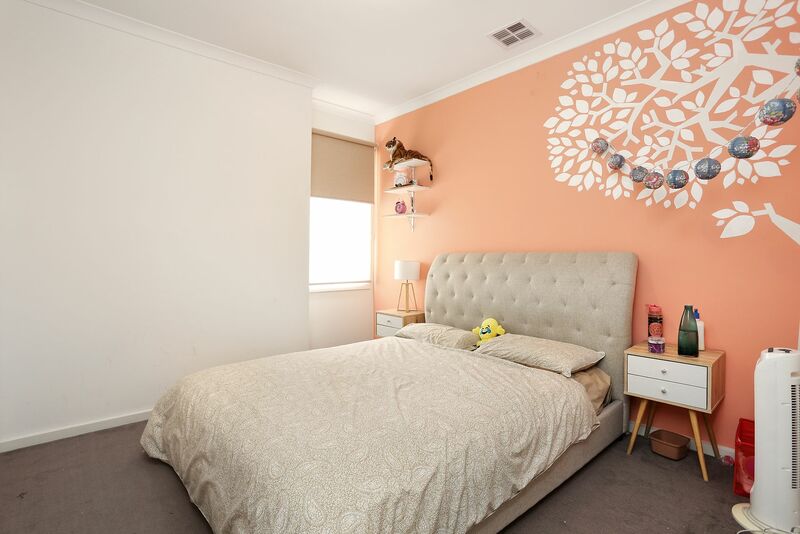 - Close to Primary & Secondary Schools, kindergartens, child care, Pascoe Vale Rd shopping precinct & retail outlets. 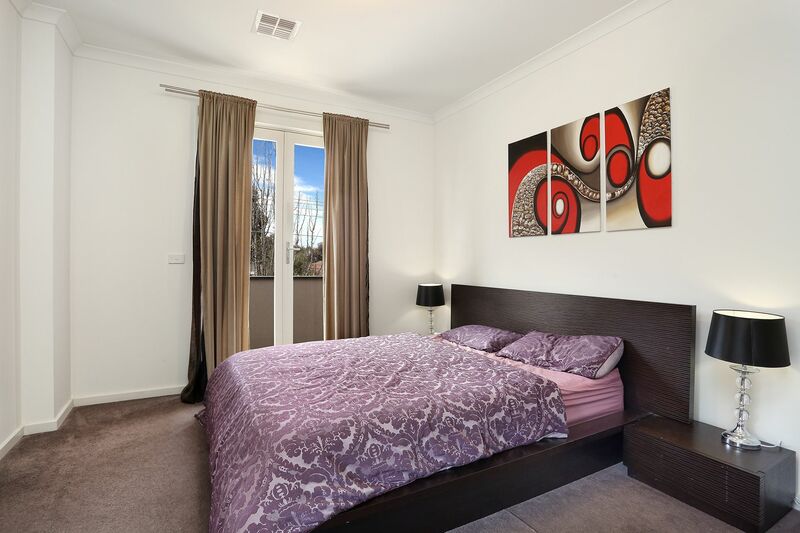 - Less than 1 km to Glenroy Train Station.